This article, in two parts (voir), studies the latin inscriptions dedicated to Septimius Severus and his family in the city of Lepcis Magna. 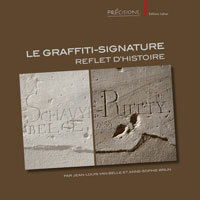 In this first part, for each inscription, we give the archaeological context, the datum and the latin text. We also give informations about the donators. In the second part, religions aspects, places where the inscriptions were founded, monumental inscriptions of Septimius Severus in the basilica of the new forum and the cursus honorum of the great-father of the emperor will be studying.